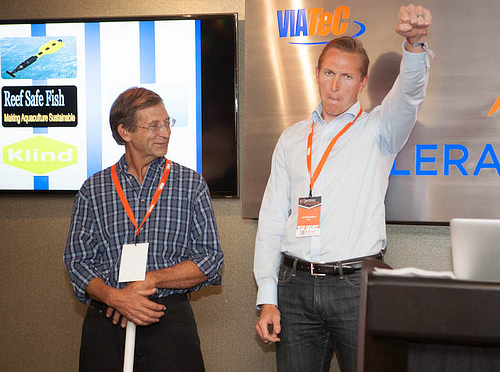 The lovely Carla Wilson reports in the Times Colonist that a German company specializing in high-tech marine systems has opened an office in Greater Victoria to win contracts from the lucrative Canadian maritime sector. Rick Gerbrecht is running the newly incorporated Atlas Elektronik Canada Ltd, and he’s hiring now. The parent company, Atlas Elektronik Group, is headquartered in Bremen and is affiliated to the massive ThyssenKrupp. The Canadian government has $35 million budget put aside for non-combat vessels so Atlas Elektronik Canada is well placed for orders for British Columbia shipyards. 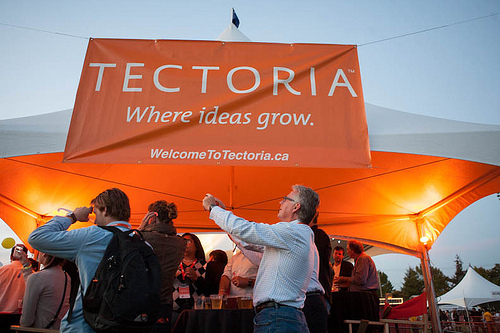 Some pictures from the recent Experience Tectoria event. 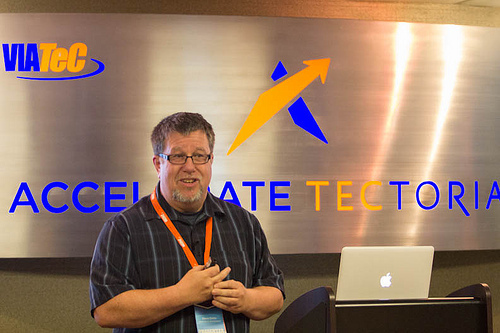 Andrew Duffy previews Experience Tectoria – the three-day conference and networking event that brings together high tech leaders from way beyond Victoria – in today’s Times Colonist. 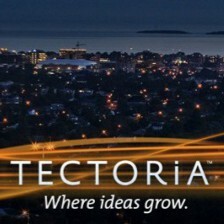 Experience Tectoria offers a variety of seminars, workshops and pitch opportunities for local companies to strut their stuff, while visiting VIPs personally invited to Victoria for a high-tech familiarization tour will get a peak behind the scenes of the $2.5-billion sector. 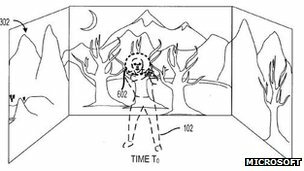 The BBC reports on a Microsoft patent in the US related to a new video gaming system that projects images of the game’s environment around a player’s room. Microsoft’s patent suggests that current games console systems are constrained by their reliance on a single screen. And what’s this got to do with the technology sector in Victoria? Earlier this year, Microsoft opened a game design studio in downtown Victoria, so I’m putting one and one together to make two. I have been told by one of the new hires that it’s an excellent place to work. Archeologists hunting for the wreckage of the doomed Franklin Expedition in Canada’s frozen north have discovered human remains but there is no sign of the two missing ships. But help is close at hand in the form of an automated underwater vehicle from the University of Victoria that will arrive soon. The Globe and Mail has more. Some news from my neck of the technology woods (I’ve worked for AbeBooks for more than seven years). 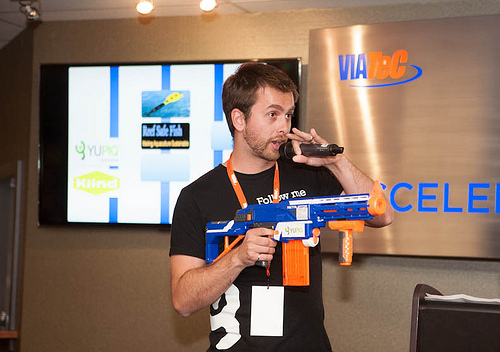 Students in the University of Victoria computer science and software engineering programs are being invited by AbeBooks.com to participate in a 24-hour Hackathon coding competition on September 28-29. The challenge is to conceive and produce an innovative application using the Amazon Web Services (AWS) cloud computing platform. At the conclusion, the students will demonstrate their work to a team of AbeBooks’ software engineers, who will award a series of prizes that include $500 worth of access to AWS. A group of AbeBooks software engineers including Director of Engineering Tim Munro and Engineering Manager Cliff McCollum will be on hand to answer questions and assist students with the processes. Students can compete individually or in groups of up to four. 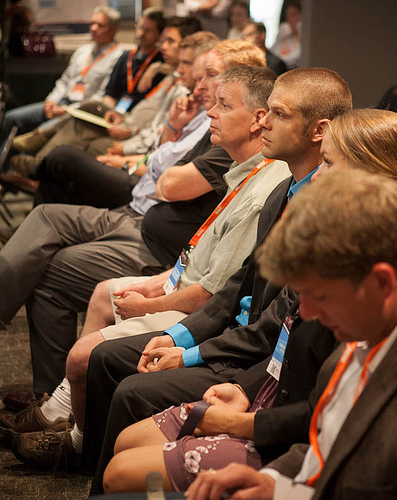 The event will be staged at the University of Victoria engineering labs and begins at 4pm on Friday September 28. 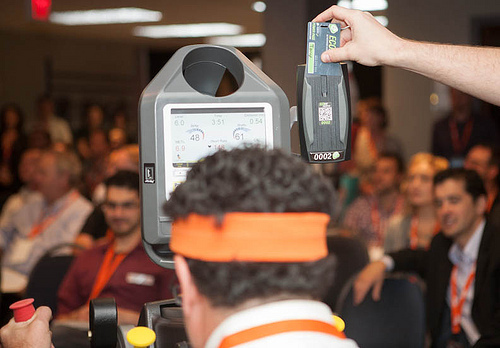 The event is limited to the first 40 applicants. 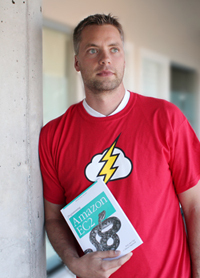 It is free to participate and all entrants will receive a copy of a book called Programming Amazon EC2 by Jurg van Vliet, a commemorative t-shirt (modelled by my colleague Kerry Wright in this picture) and a valuable learning experience with AWS; access to which will be provided by AbeBooks for the coding competition. It should be a lot of fun. We have strong links to UVic – a couple of new interns from the computer science and software engineering programs were introduced to the company just yesterday.